Who has ever thought about living on the water, or even having a sailboat or big boat they can spend at least some time on the water with … or even hang out in the harbor? 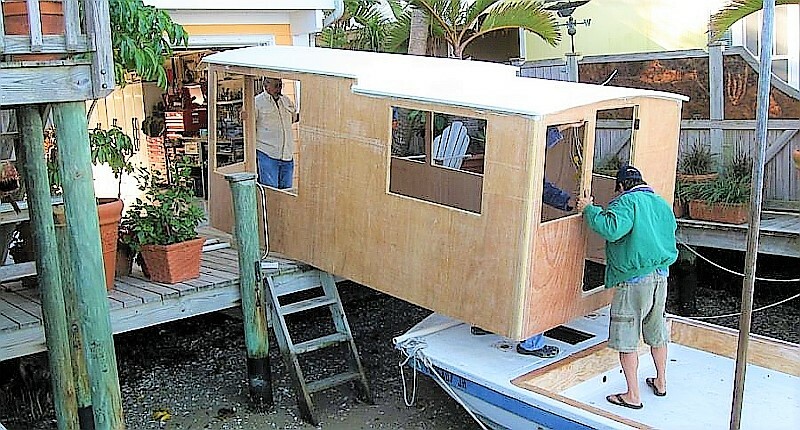 Well, how about building your own small houseboat? 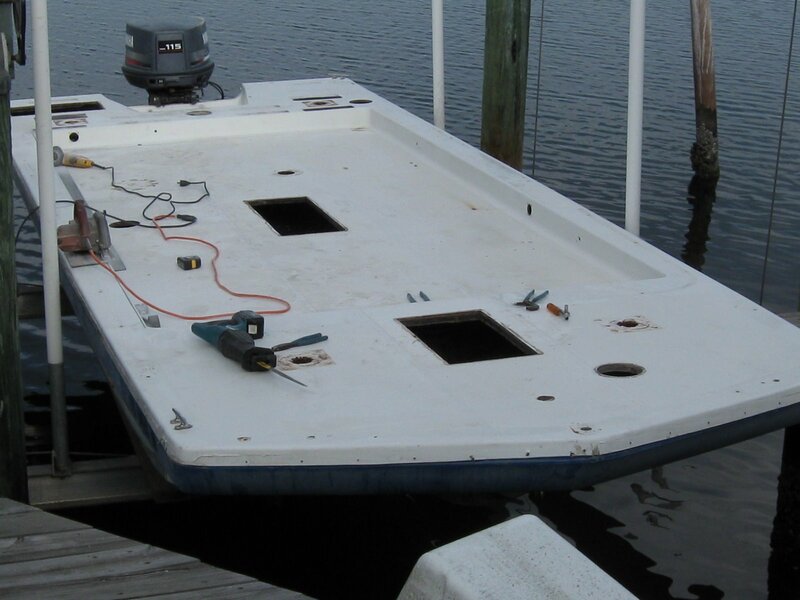 Not only can you store it on your property, you can transport it easily, motor around in it on the lake or ocean, and live or vacation on it at a marina. 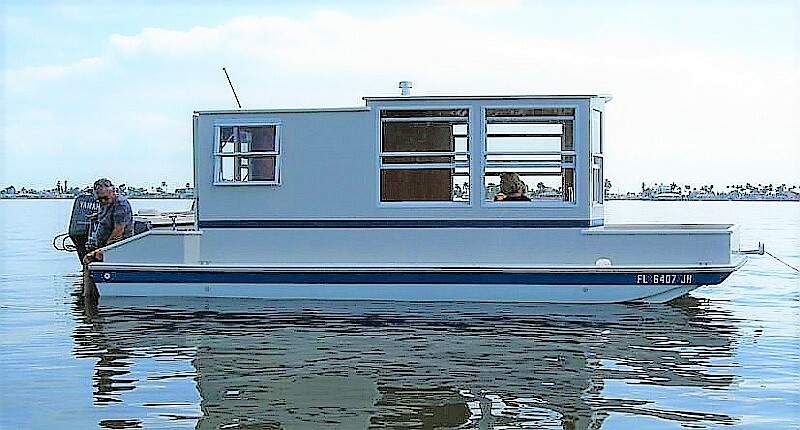 This houseboat was built on a used 1995 Hurricane deck boat hull. I live in Florida and go north for the summer. When I come back next year in October I will finish the interior. 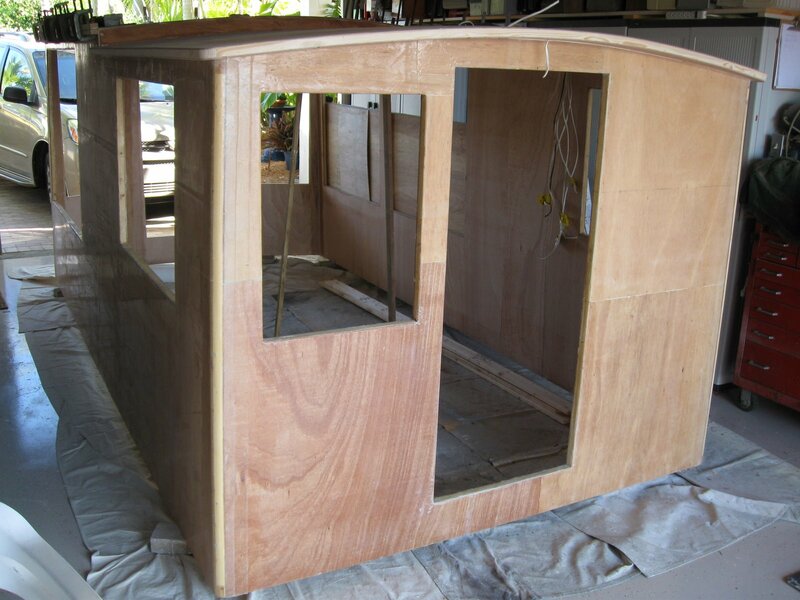 You can get an idea of the project from the photos, although if if anyone has more info on the process of building this houseboat, or even another DIY houseboat build, we’d like to know about it too, and share it with everyone. 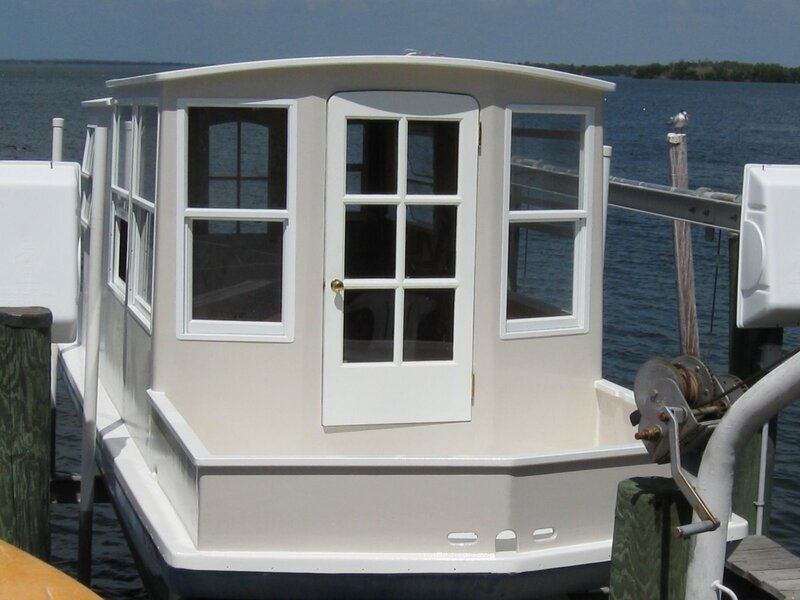 Find more from houseboat builders, you can find them indexed in our Home Designers and Builders Directory. You can search the company’s name and look for builders near your area. And to see more houseboats, click here.